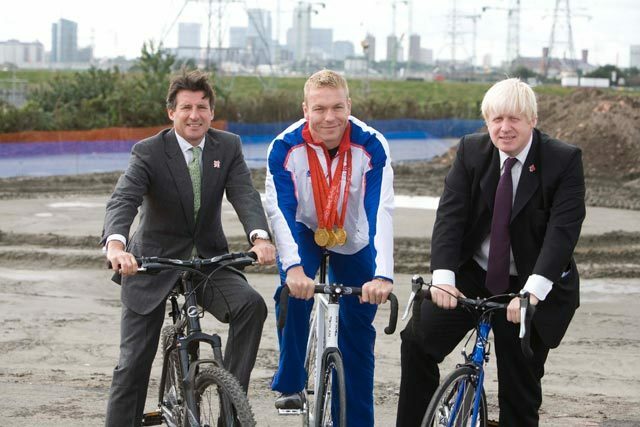 As our "summer of cycling" draws to a close with our Paralympians raking in the hardware (that's gold in 4 cycling events so far) in Beijing's VeloPark, Chris Hoy's relentless round of public appearances rolls on back home with him helping to unveil the designs for our 2012 Velodrome as they are finally put forward for planning permission. And here's a nifty animation to fly you through the plans. The BMXers are particularly cute, bunny hopping over virtual humps outside the giant saucer of the velodrome. Image and video courtesy of the ODA.